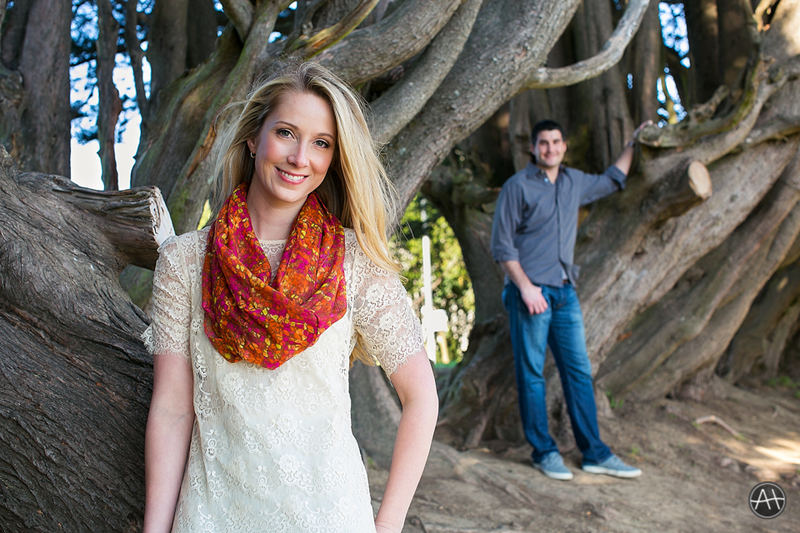 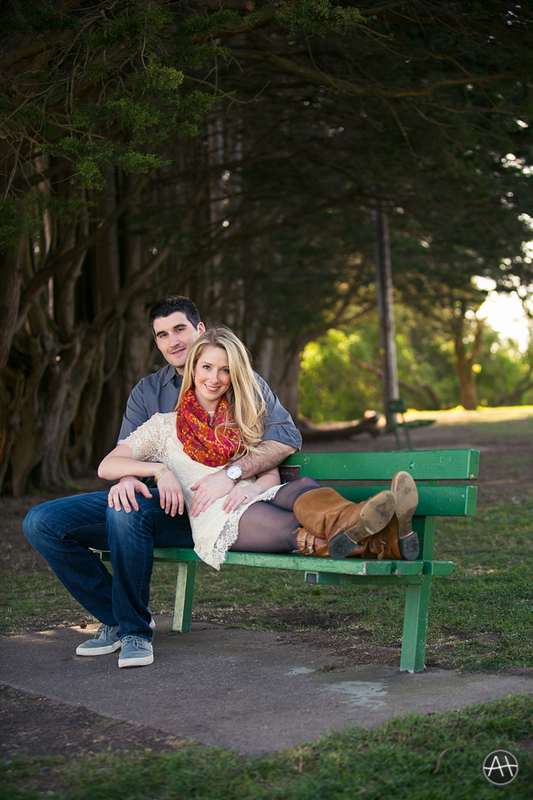 Patrick proposed to Kathryn at Alta Plaza Park in San Francisco, and its such a lovely park so why not do some engagement photos there! 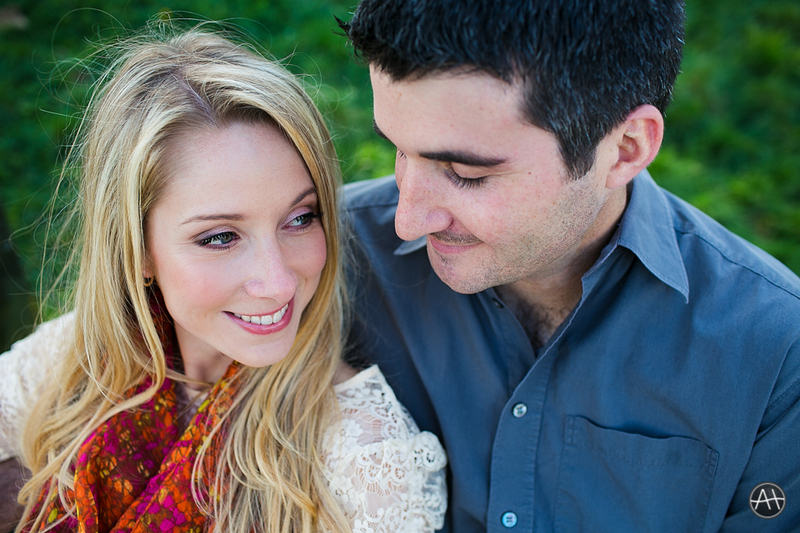 When I met Kathryn several years ago, I knew she was such an easy going and fun person to hang out with and it was great to spend a day with the two of them. 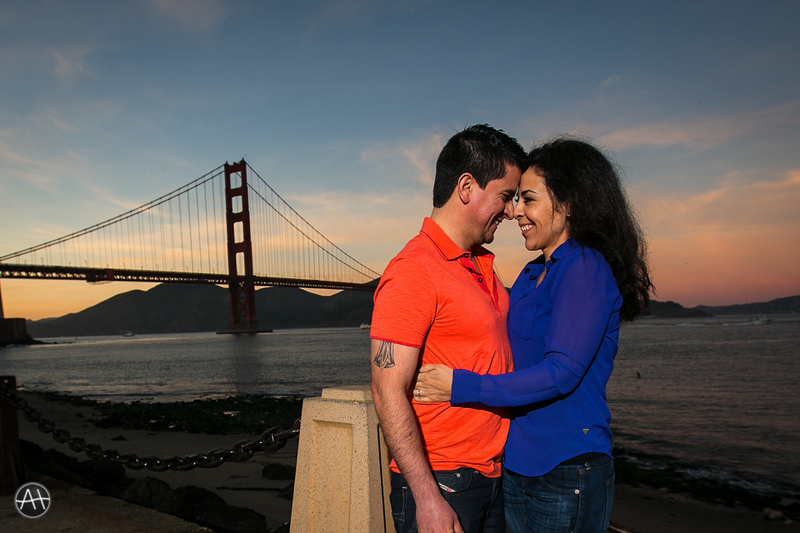 Since they are both originally from the East coast and now call San Francisco their home together, we had to end the day with some photos of the iconic Golden Gate Bridge in the background. 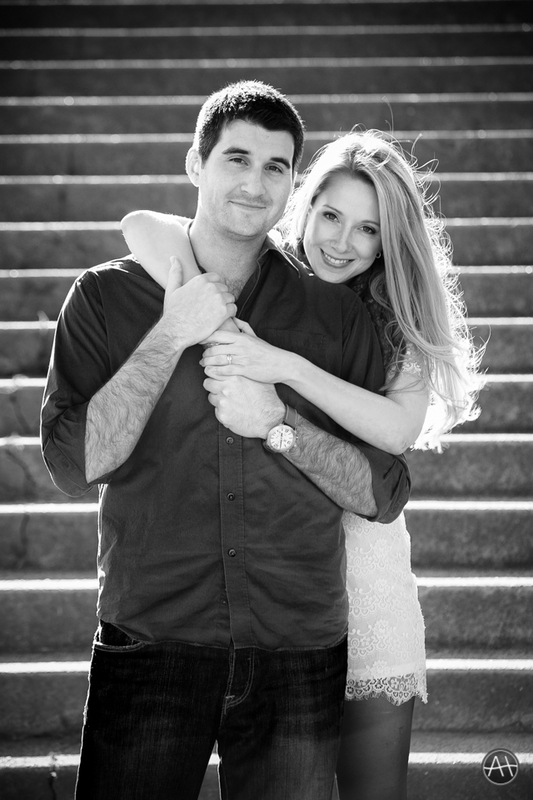 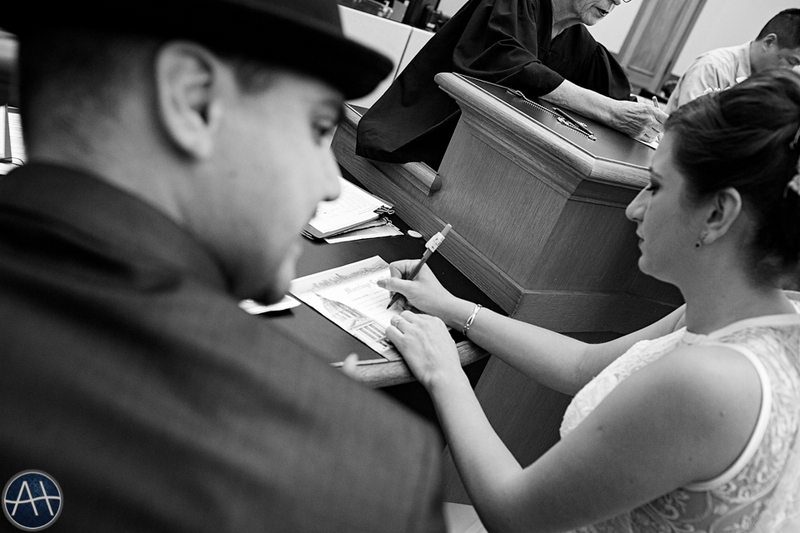 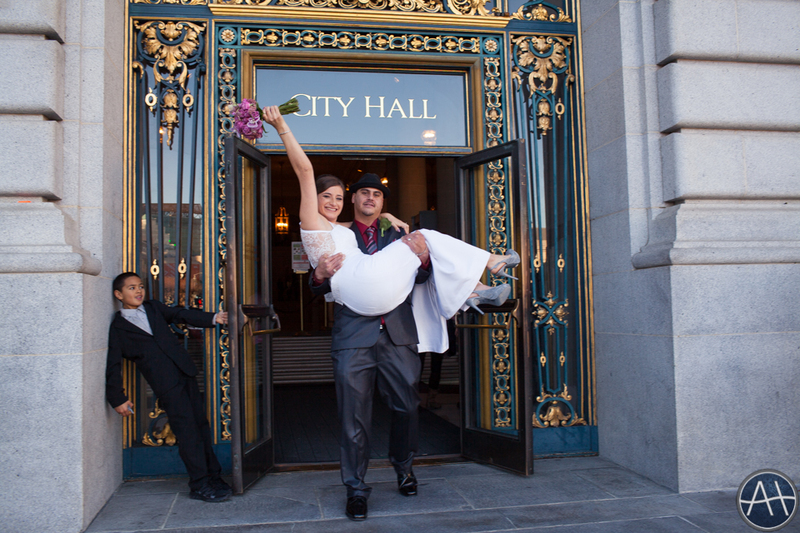 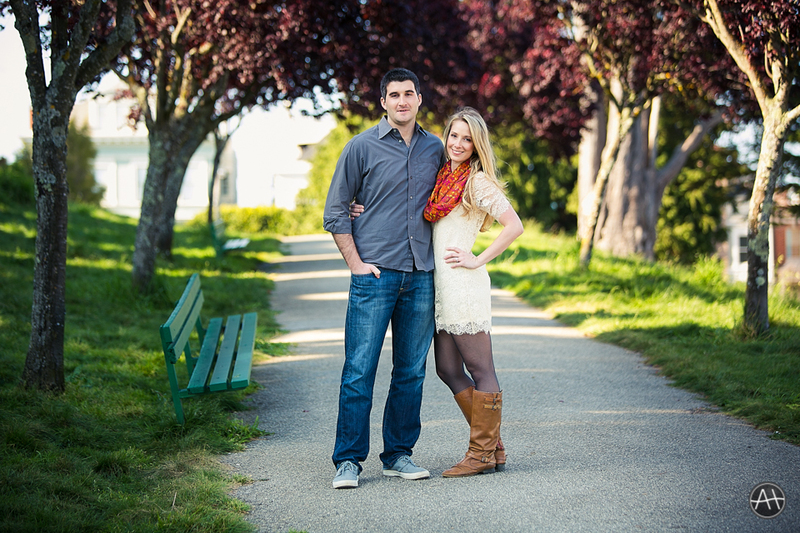 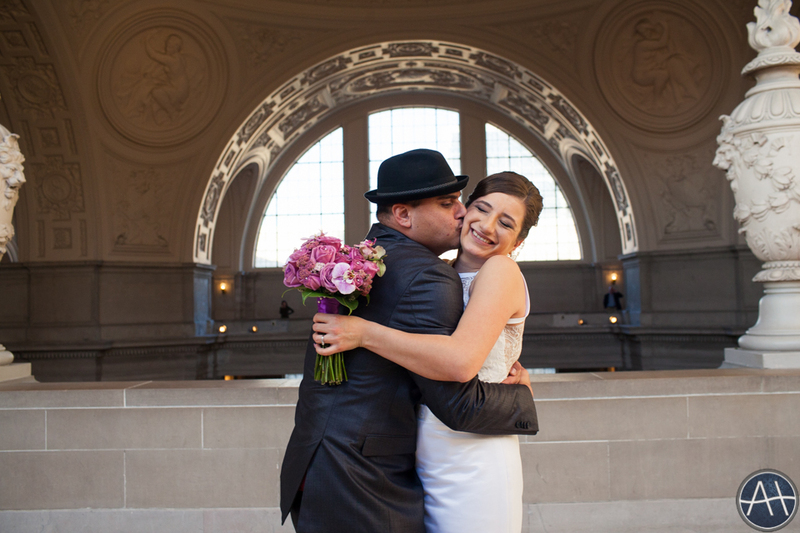 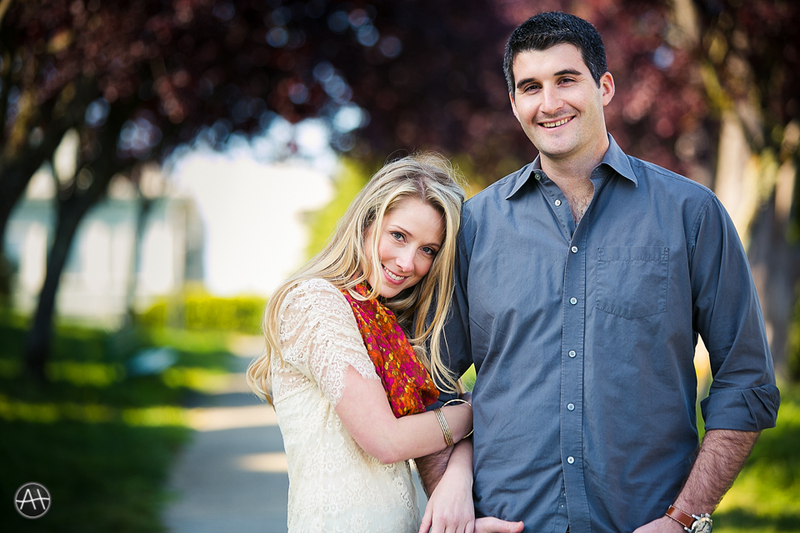 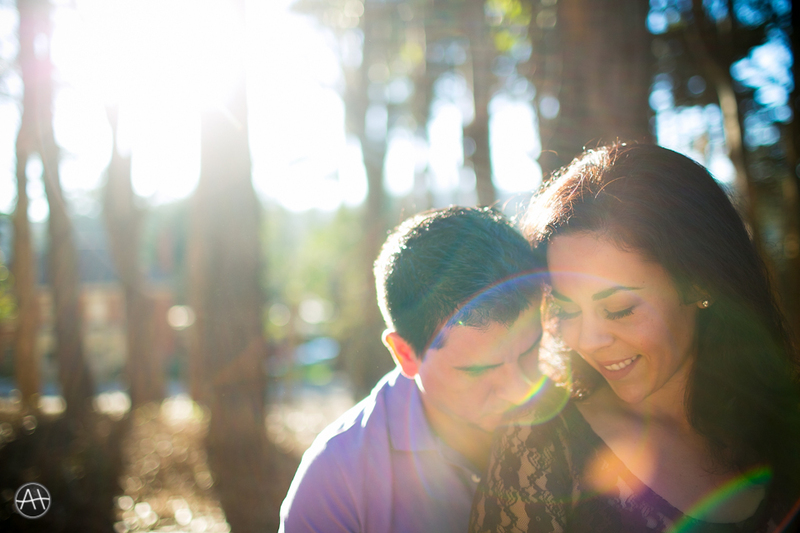 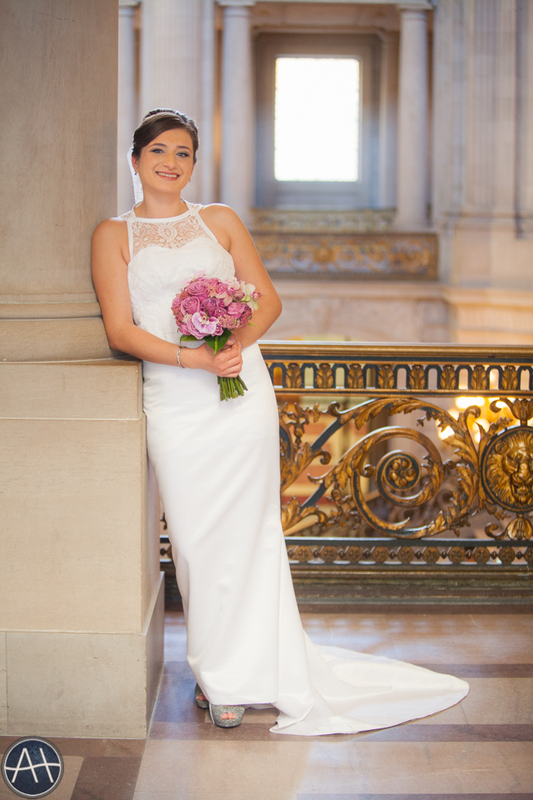 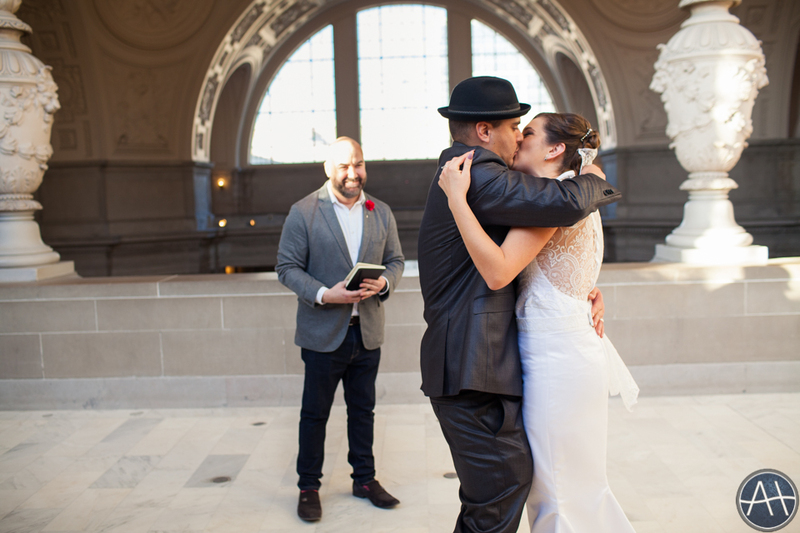 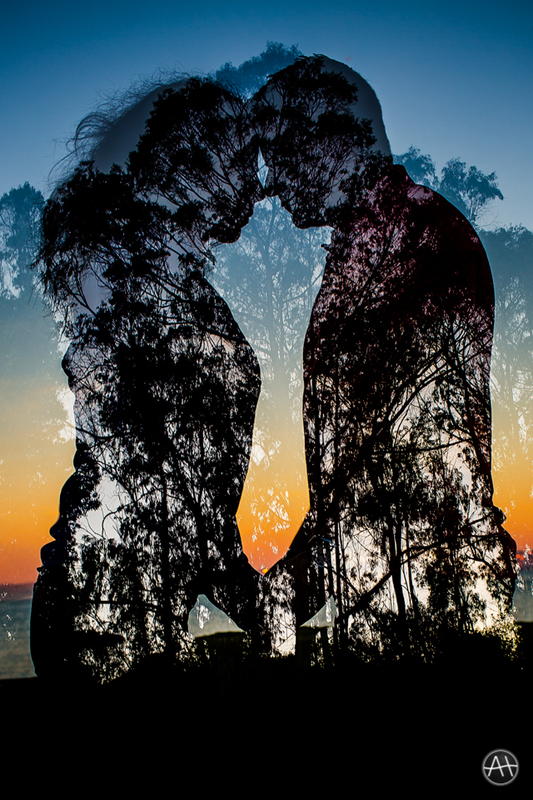 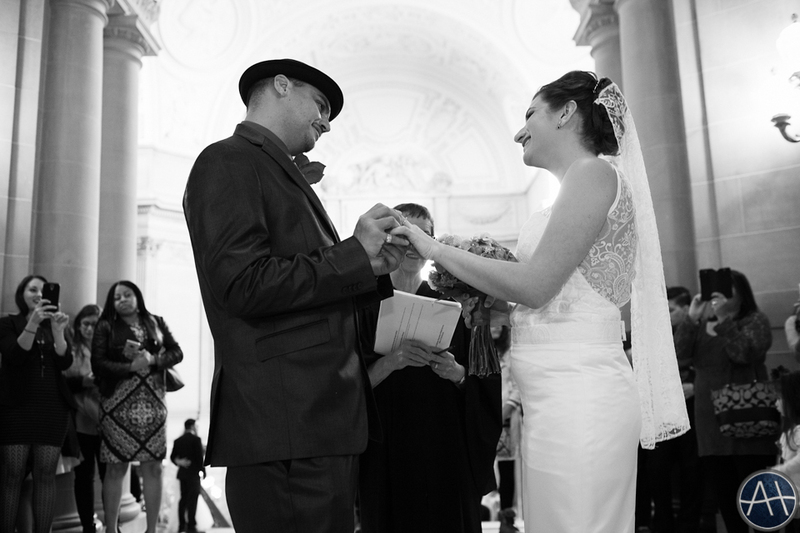 I am so happy to be shooting their wedding in Sonoma later this year and I know that it is going to be a lovely wedding! 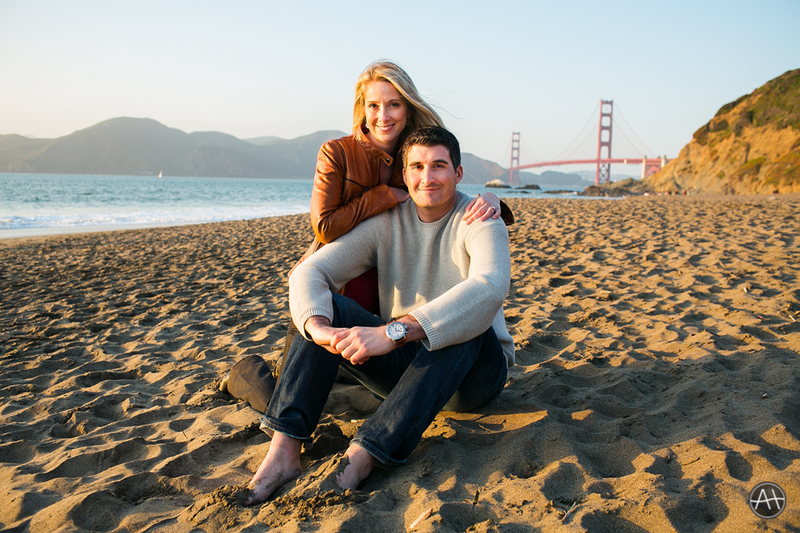 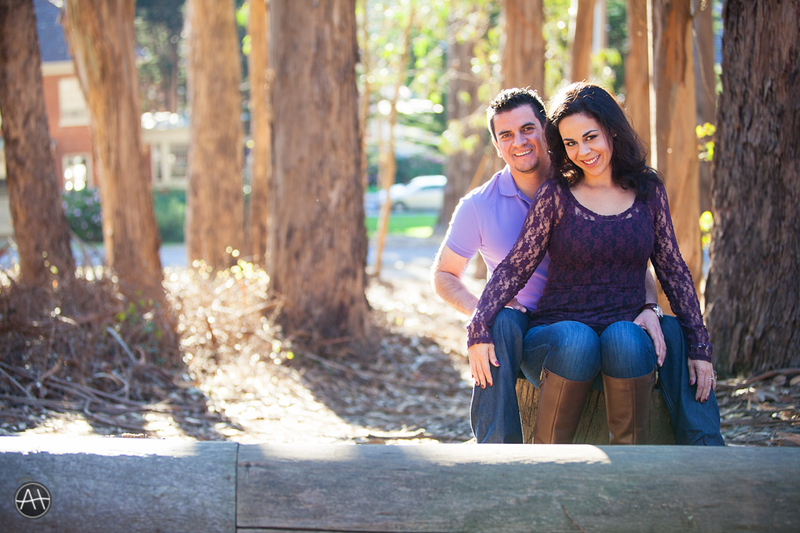 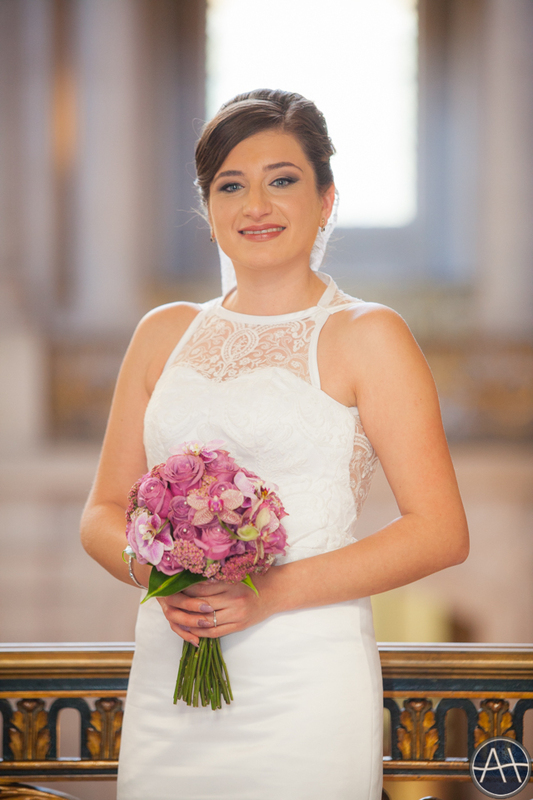 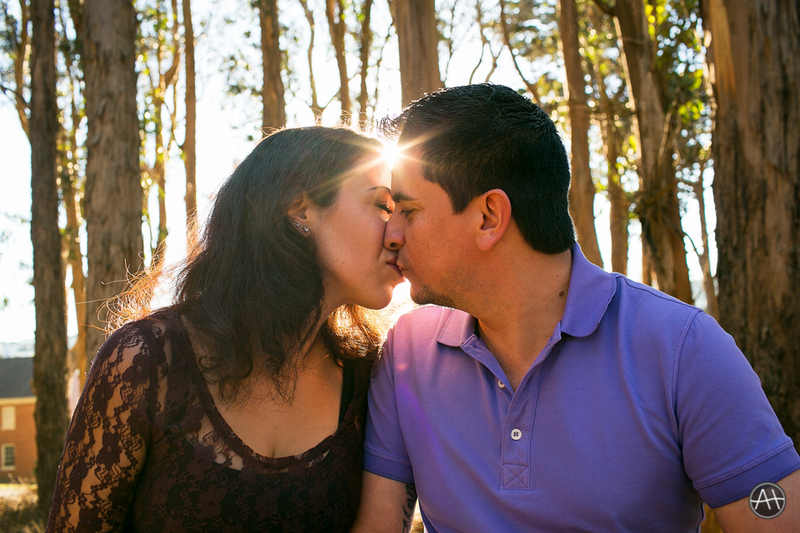 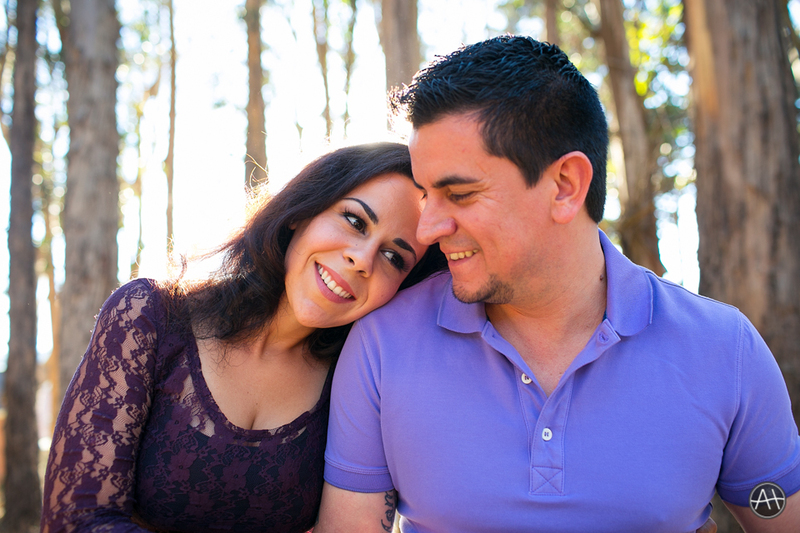 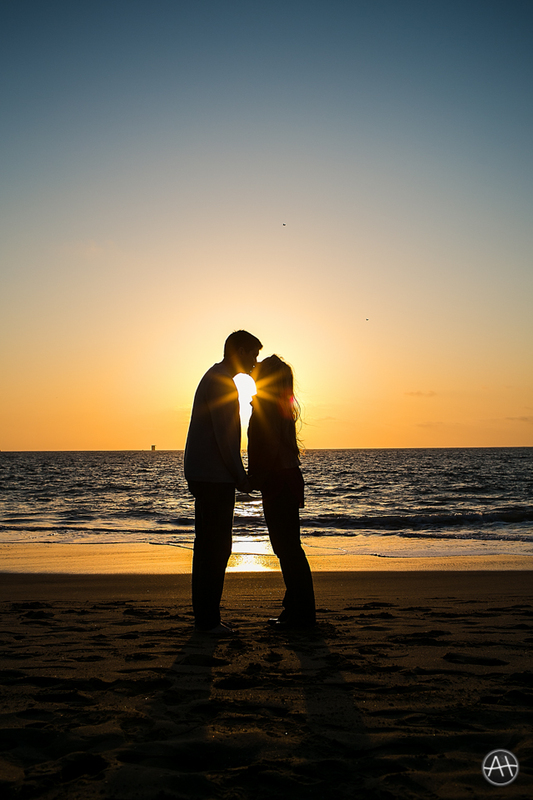 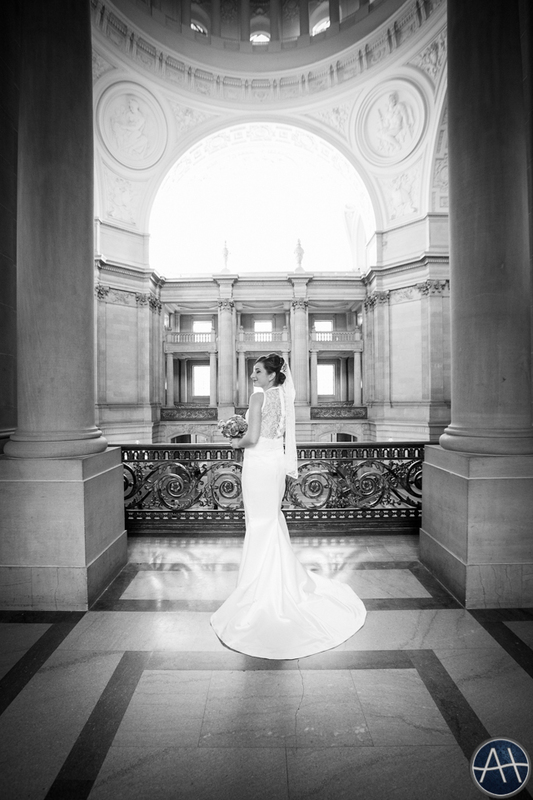 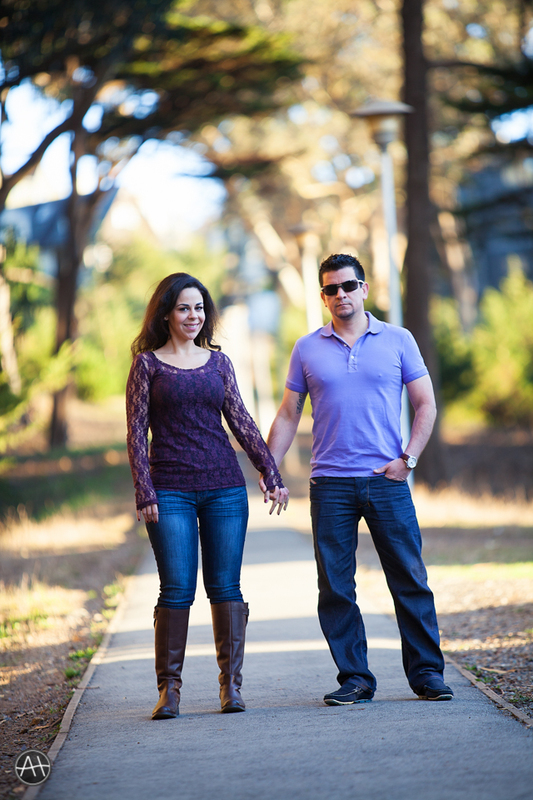 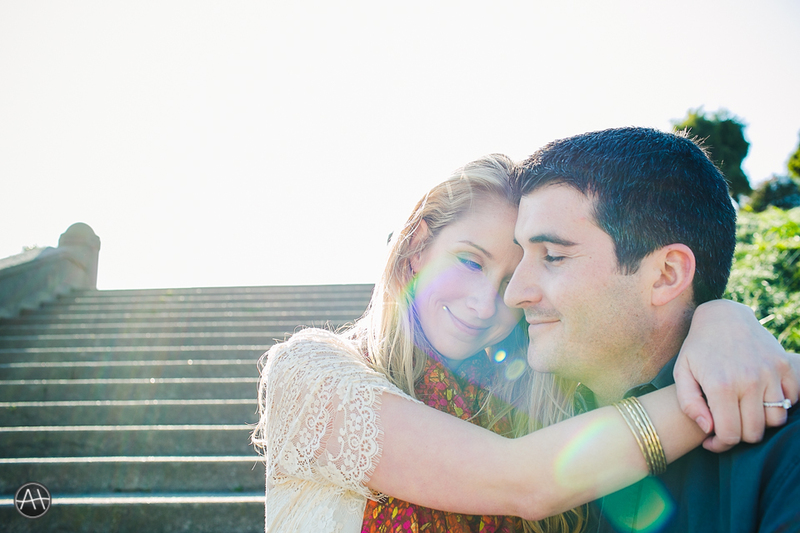 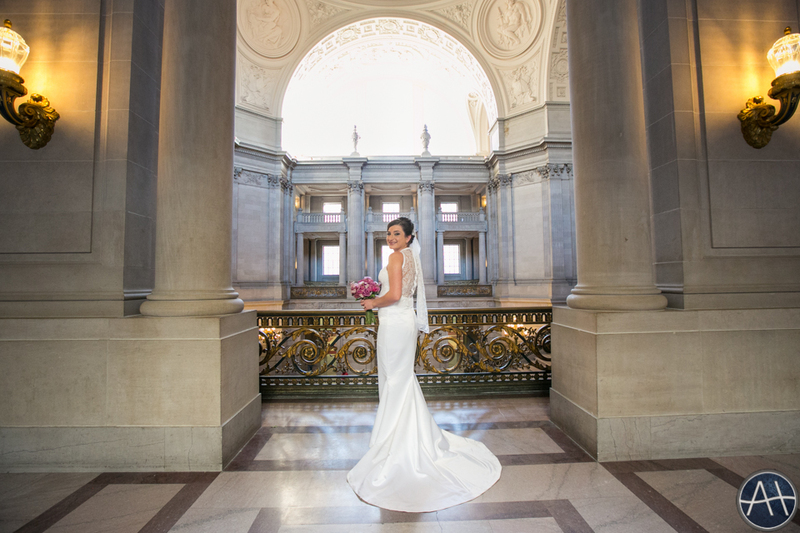 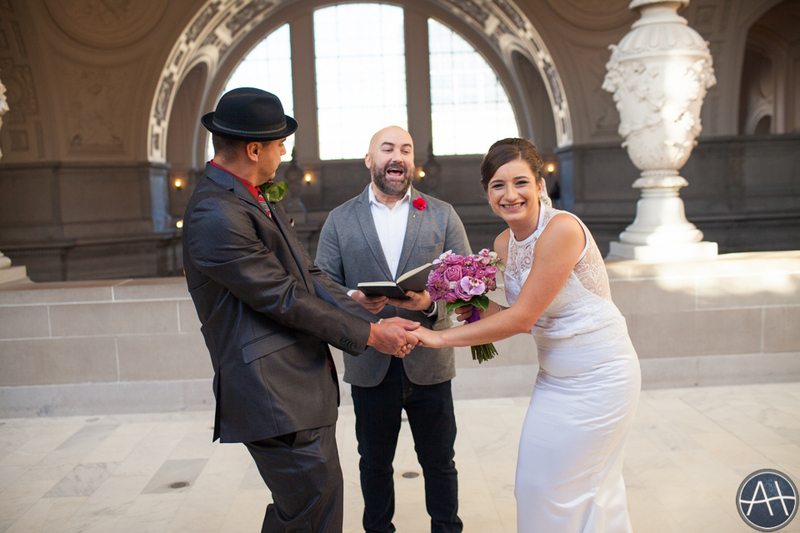 This entry was posted in Engagements and tagged alta plaza, alta plaza park, baker beach, beach, beach sunset, park, park engagement session, park esession, san francisco, sf, sf sunset, sunset on March 25, 2014 by admin. 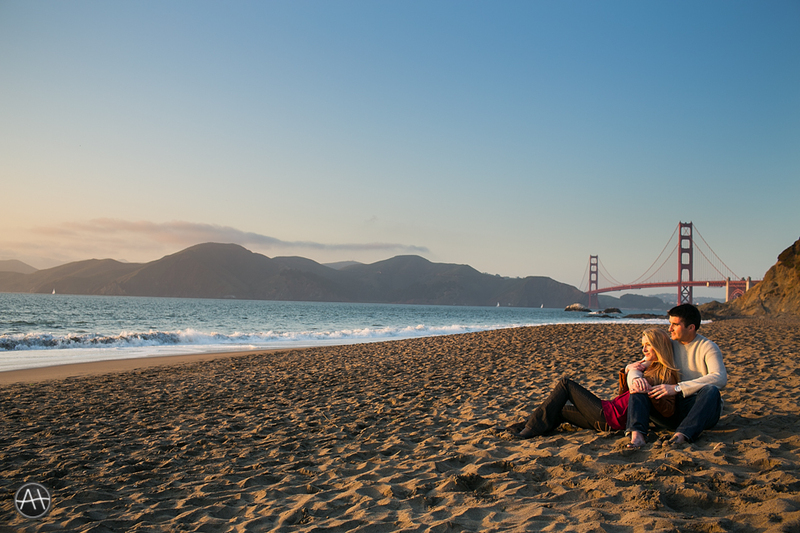 It was December in San Francisco and the weather was gorgeous. 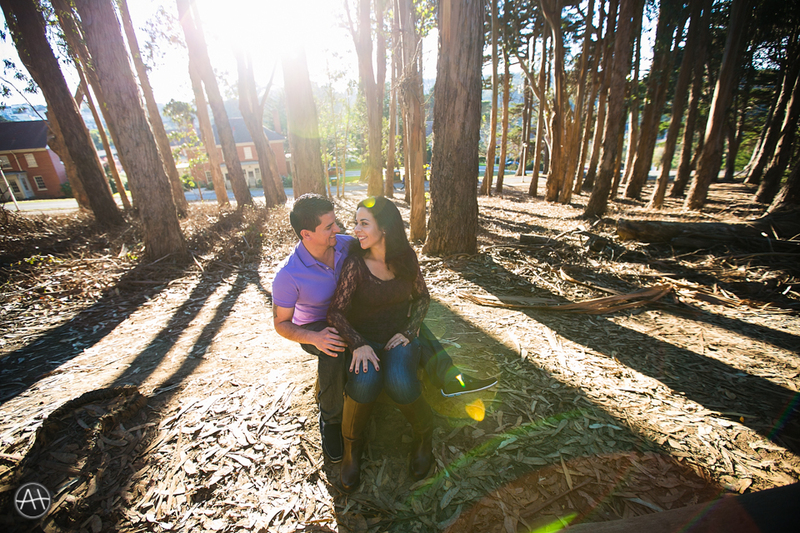 It was a nice day to be out and about in the Presidio. 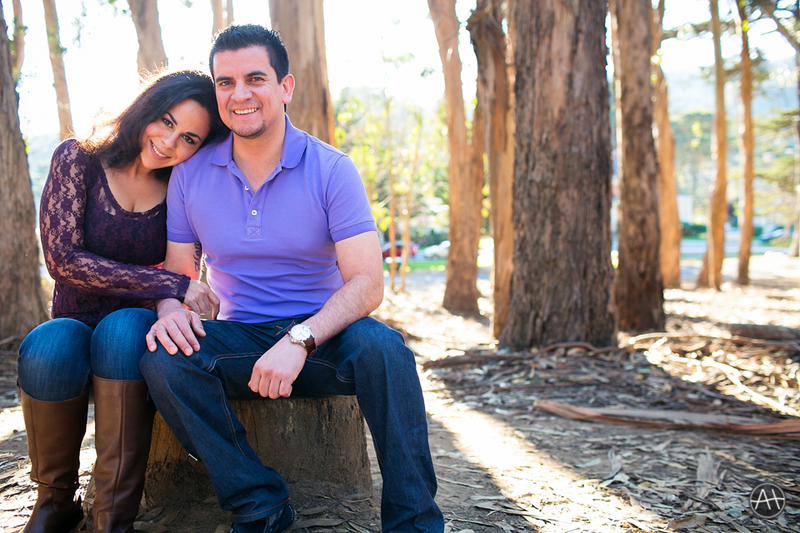 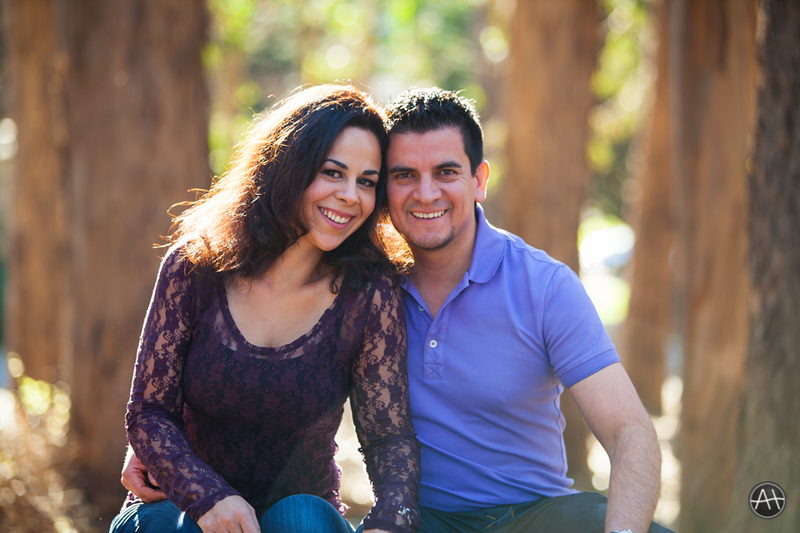 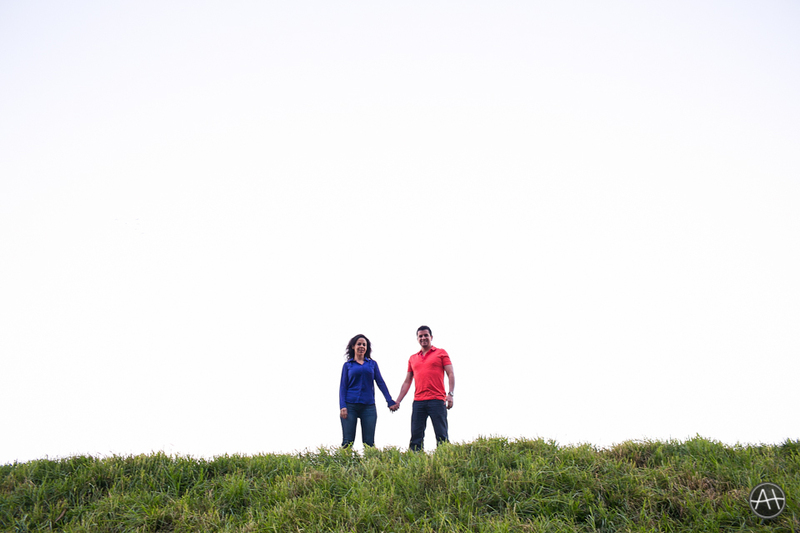 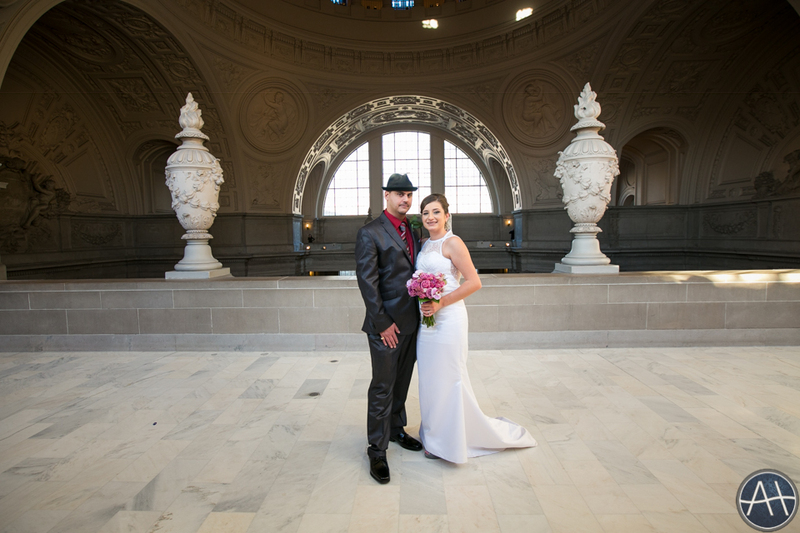 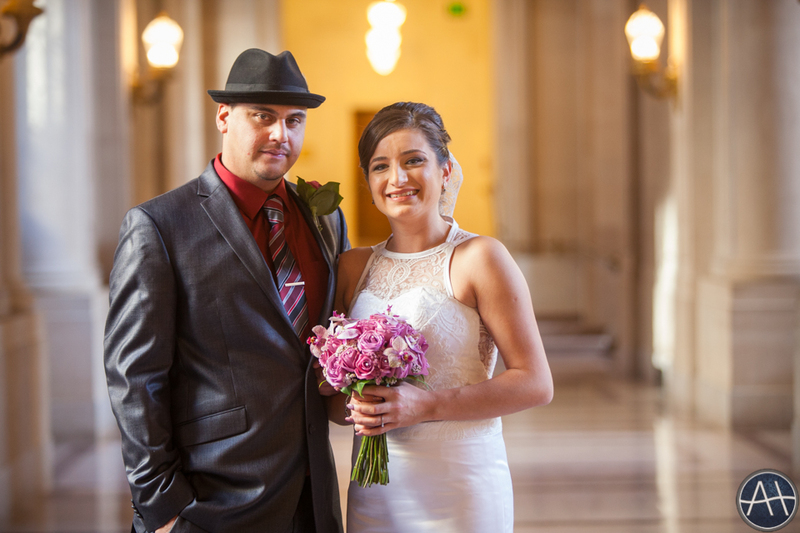 Gigi and Manuel told me they were very shy in front of the camera but they did a great job being natural. 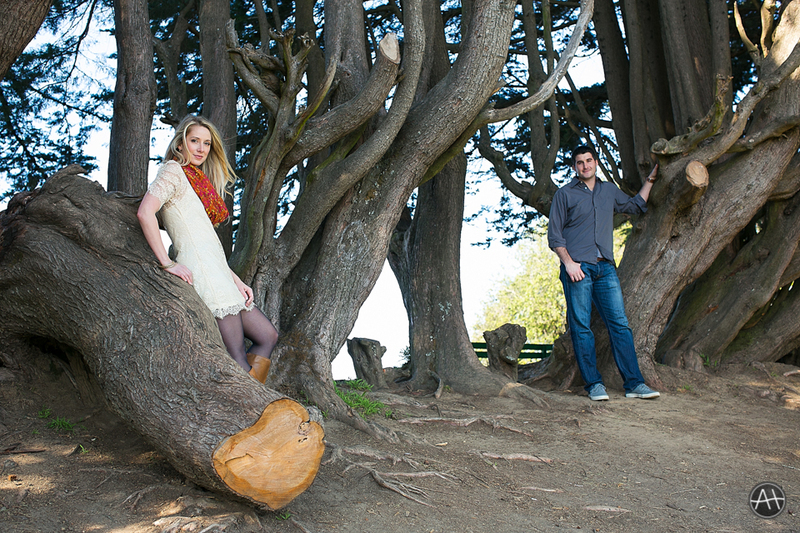 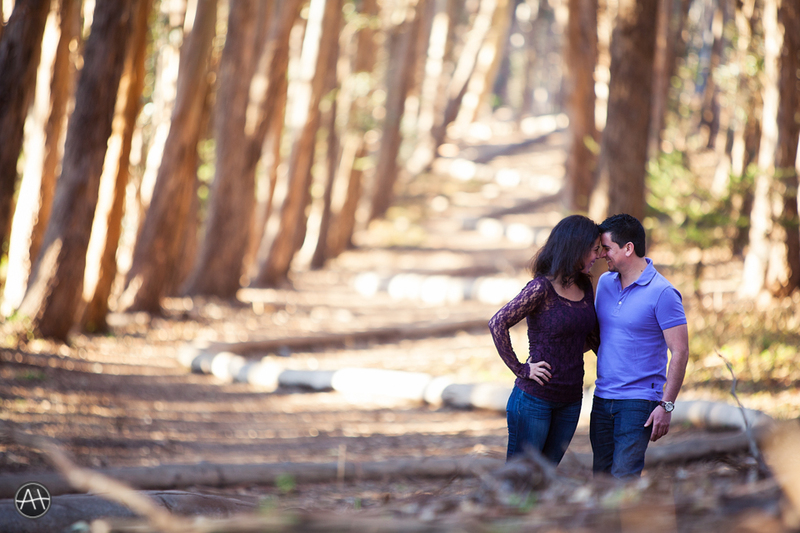 In the Presidio, there is a path called Lovers’ Lane which is a great walk among eucalyptus trees. 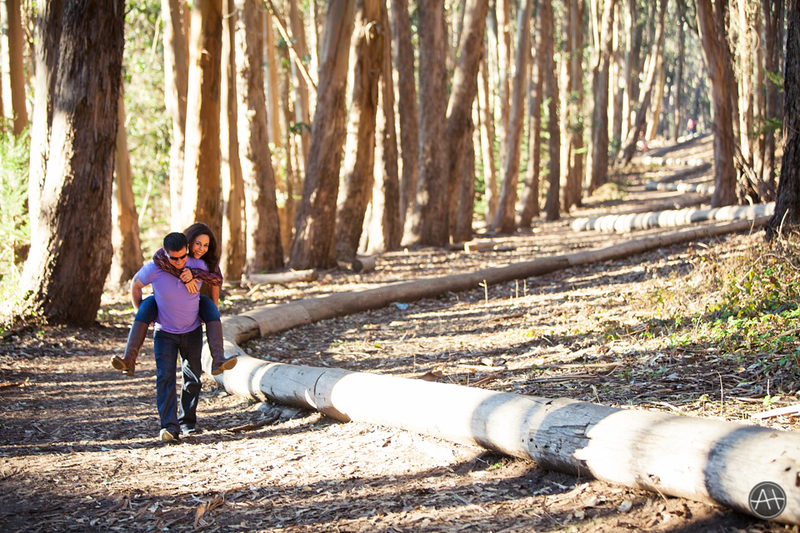 The path was originally a three mile trail used by soldiers to visit their loved ones and families from the Presidio to the mission. 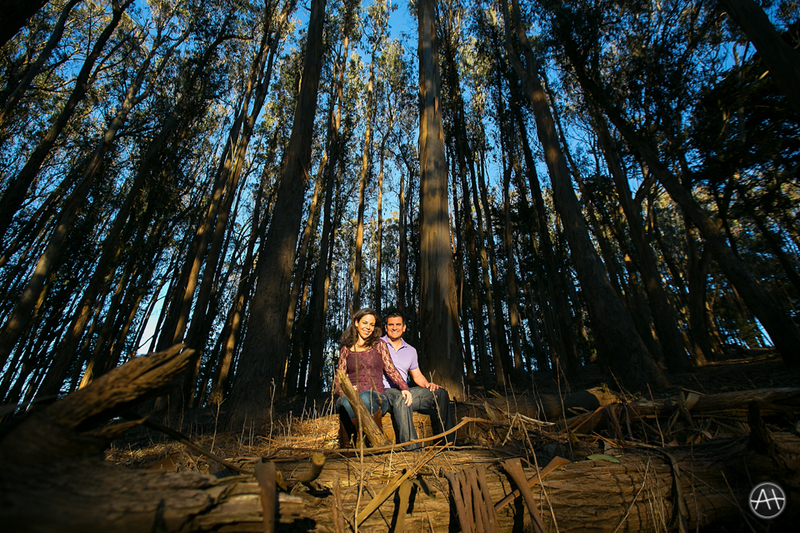 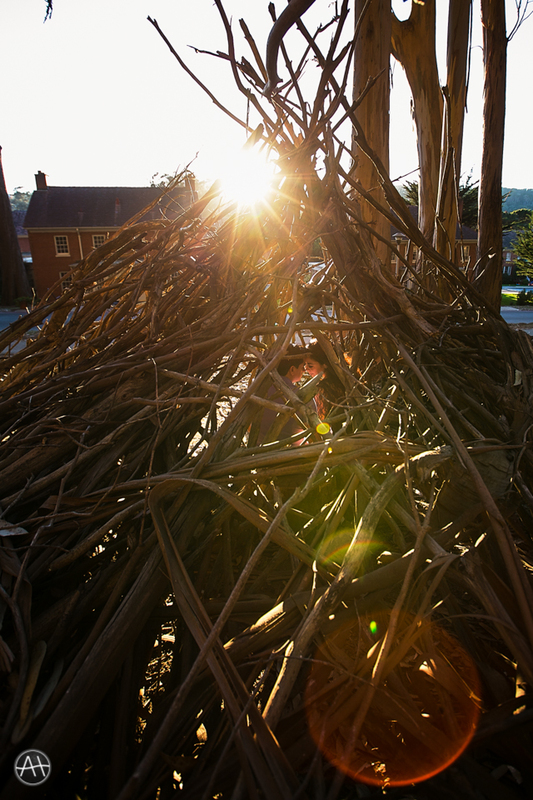 The Wood Line, a configuration of eucalyptus branches among the trees created by Andy Goldsworthy right next to the Lovers’ Lane, is also a pretty fun and worthwhile spot to check out. 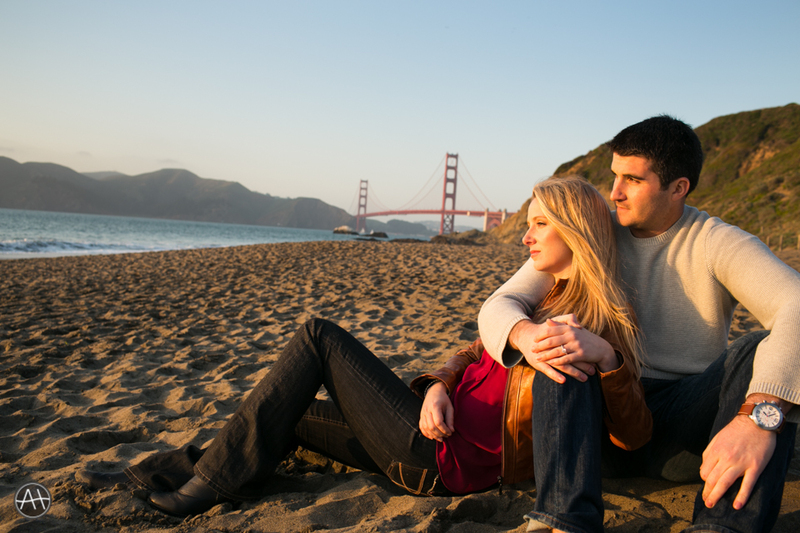 Of course there is no better way to end the evening than by taking some sunset pictures with the Golden Gate Bridge in the background. 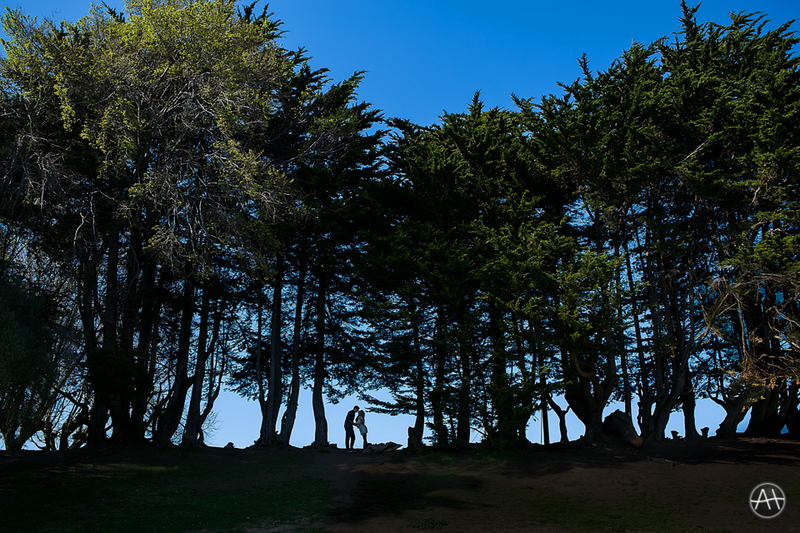 This entry was posted in Engagements and tagged crissy field, engagement session presidio, eucalyptus, eucalyptus branches, eucalyptus trees, golden gate bridge, lovers lane, lovers lane photos, lovers lane pictures, lovers lane presidio, lovers lane presidio engagement session, loverslane, multiple exposure, presidio, presidio engagement session, presidio lovers lane, san francisco, sf presidio, sunset, trees, wood line, woodline, woods on December 4, 2013 by admin.